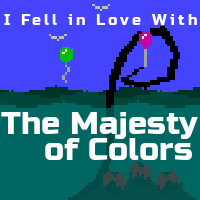 If you want to be among the first humans to play the remastered Majesty of Colors, stop by! We'll have playable demos of Majesty running for all three days of the conference. 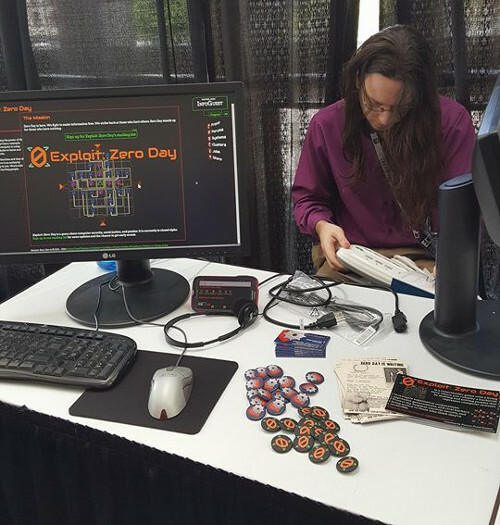 We also hope to show Exploit: Zero Day to folks who haven't seen it before. So if you'll be in Raleigh sometime April 18-20, 2017, check us out! We said we only "hope" to show EZD because of one of those unfortunate coincidences of independent development. We found out this week that our service provider will be doing maintenance on our database server starting in the first hour we'll be showing things at ECGC. That means that EZD will be essentially out of commission during the first rush of show floor attendees for the conference. If we had more warning and more resources, we could get a local copy of the production database working, but we just don't have the time or energy to set that up and still be well-rested enough to handle the grueling task of showing our games for two and a half days. No worries, though! Majesty is our flagship work at the moment and we're happy to focus on showing it off for the opening of the conference and maybe showing both games later in the conference when we're confident that EZD won't break. We're a bit nervous, but it'll go fine! We hope to see you there.